Lovely. Unpacking is number one on my list today, but I wanted to stop in and post a quick freebie that I hope can be useful to you! The entire Dolch first grade list is included as well as a few hand-picked sight words that constantly seem to need review! 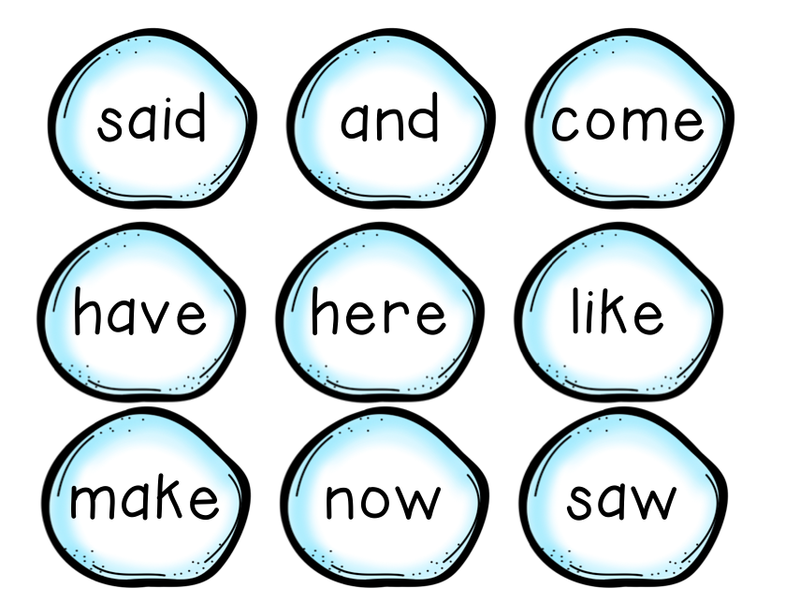 There is also a page of blank snowballs so you can write in the words that your little darlings need help with. You can use these in so many different ways! Tape them up around the room and have students go on a sight word snowball hunt or a fun write-the-room. Use them as flashcards! Or, you can do this fun sight word center idea that Cara Carroll just posted (she is my hero, just saying!). 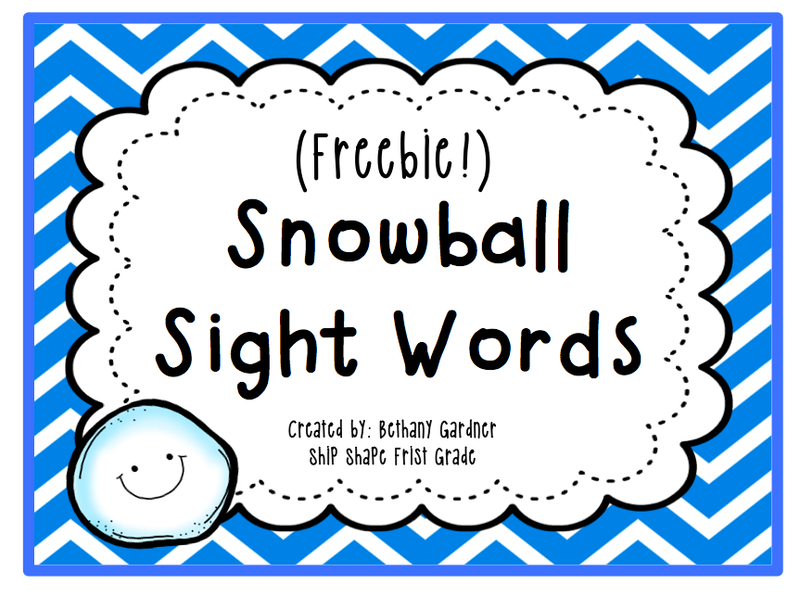 Toss the sight words into a bucket of cotton balls and have your students dig through the snowballs, recording the sight words that they find. I can't wait to introduce this center to my students next week! They are going to LOVE it! Visit The First Grade Parade for this recording sheet! Alright, I guess it is time to face those cardboard boxes! Have a great weekend everyone! Thanks so much for the creative center to use with my students when we return tomorrow! I hope you're all settled in to the new house.